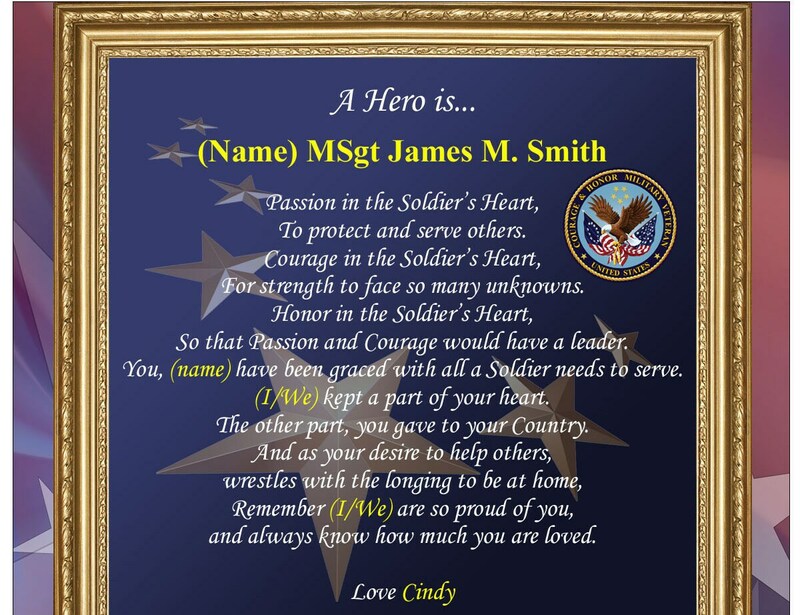 ♥ Personalized Military Plaque with Patriotic Design Element Heartfelt Poem on Gold Metal Decor Plaque. Plaque includes Courage and Honor Military Veteran Insignia. 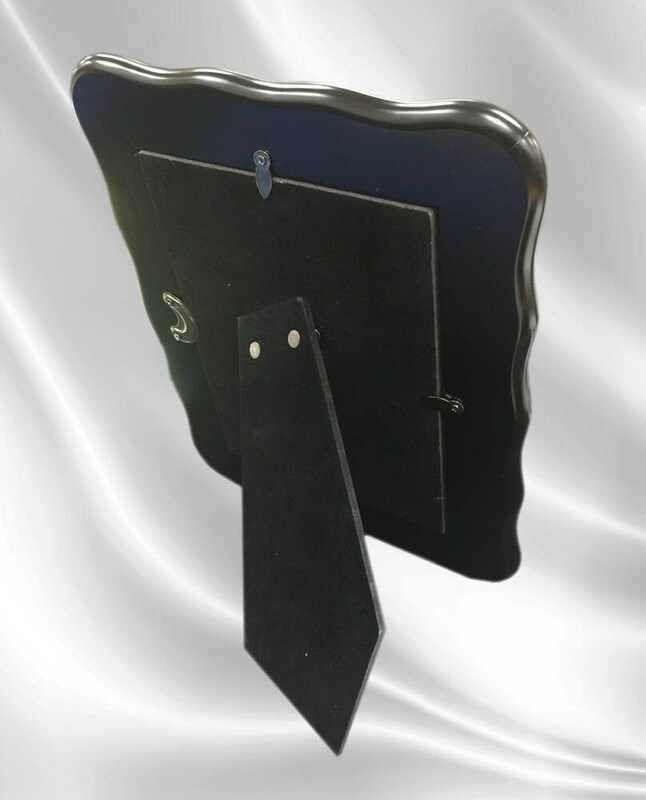 Contact Us with questions on customizing as we are flexible and can use your custom text in the plaque if needed. Inspired by the loving words of our creative poets, these poetry armed forces military veteran gifts are an exclusive creation. 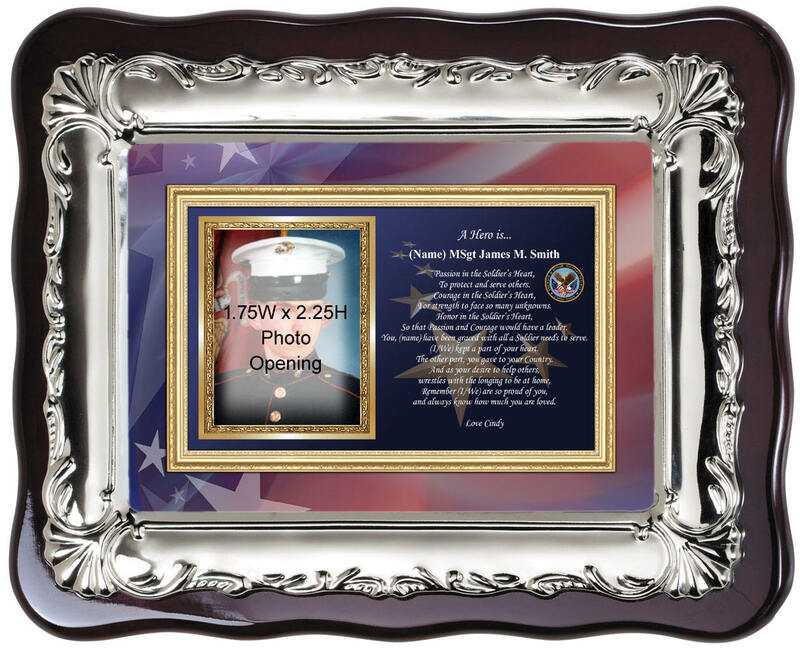 Our personalized poem clocks, military plaques and USMC picture frames are customized with your name and embedded in the composition of the poetry gifts. Let our personalized military gifts of poetry products imagination wander and explore the possibilities that you can create with a custom sentimental meaningful message in our elegant picture frames and clock gifts.